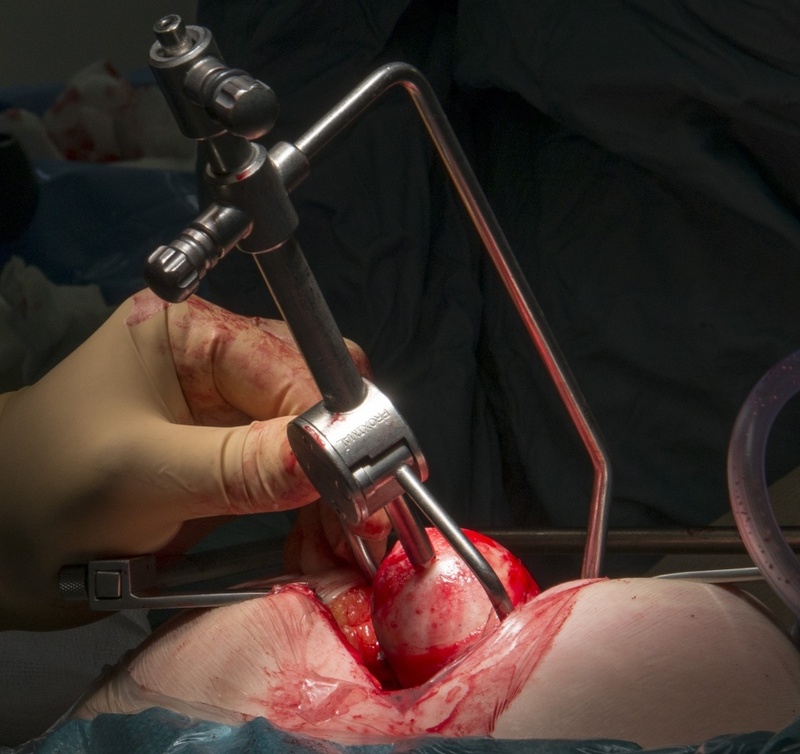 Learn the Polymotion; The Custom Highly Crosslinked Polyethylene Hip Resurfacing surgical technique with step by step instructions on OrthOracle. Our e-learning platform contains high resolution images and a certified CME of the Polymotion; The Custom Highly Crosslinked Polyethylene Hip Resurfacing surgical procedure. Metal on Metal Hip Resurfacing in male patients with osteoarthritis has been durable out to nearly two decades across four continents utilising the Birmingham Hip Resurfacing. The results in females have been less predictable with survivals varying from 2% failure at 18 years to nearly 30% failure in one centre at 10 years. This lack of consistency has led to the withdrawal of the smaller sized implants by the manufacturer and advice from Regulatory bodies to avoid smaller sizes of MoM Resurfacing- particularly affecting women. The MoM couple has not been forgiving to edge wear. High blood metal ions and soft tissue reactions have resulted. A greater understanding of component positioning and edge wear has been realised with the dramatic failure of some implants with reduced cup articulation angles. In addition the flexible and dynamic nature of the acetabulum during different activities is now significantly better appreciated. Metal on Plastic Resurfacing was widespead four decades ago but the volumetric polyethylene wear associated with the necessary femoral head diameter resulted in osteolysis and early failure through neck fracture and cup loosening. The advent of HXLPE nearly 15 years ago marked a liberation in femoral diameter constraint. Clinical and simulator studies have shown negligible wear out to tens of millions of cycles even with a diameter of 40mm or more; this has legitimised the reintroduction of polythylene as part of the bearing couple in a new resurfacing. By necessity resurfacing shells have to be thin and respecting the 6mm inside/outside diameter difference of BHR, using proprietary plasma spray techniques, the Polymotion Cup meets these exacting standards.